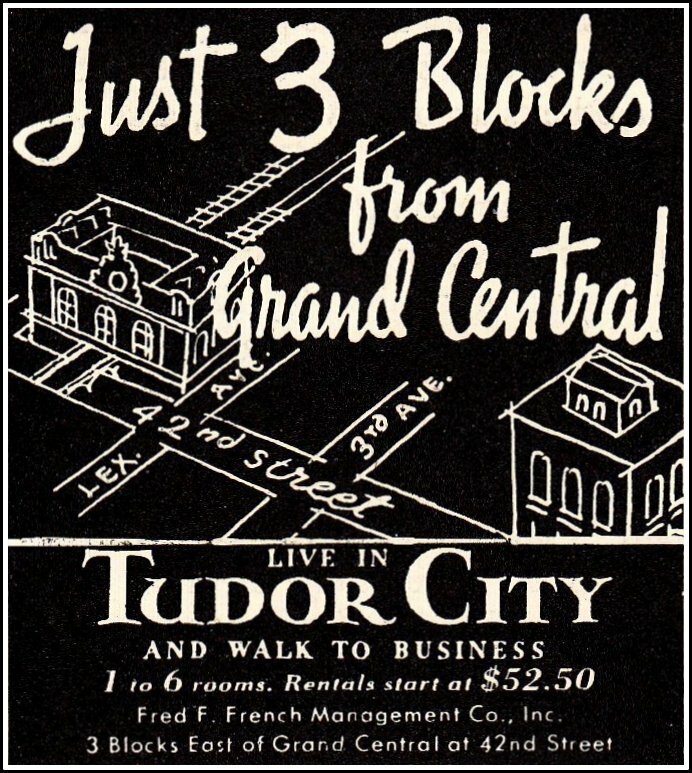 This month's installment of Tudor City on Film looks at U.S. 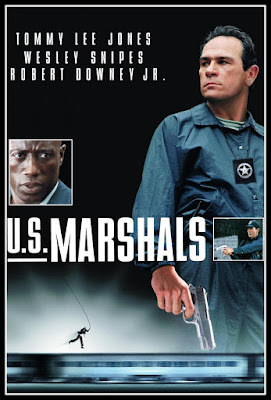 Marshals, a 1998 crime thriller starring Tommy Lee Jones, Wesley Snipes and Robert Downey Jr. 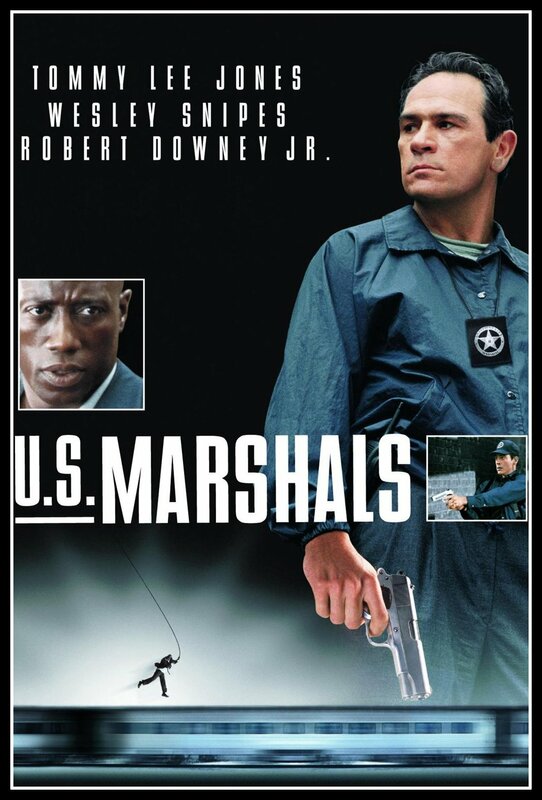 It's the sequel to The Fugitive, and though there's no Harrison Ford this time around, Tommy Lee Jones reprises his Oscar-winning role as U.S. Deputy Marshal Sam Gerard. It opens with a bang, a set-piece airplane crash sequence that rivals the train derailment in the original picture. The plot's familiar enough: the marshals are on the trail of another fugitive (Wesley Snipes), who, of course, is desperately trying to clear his name. 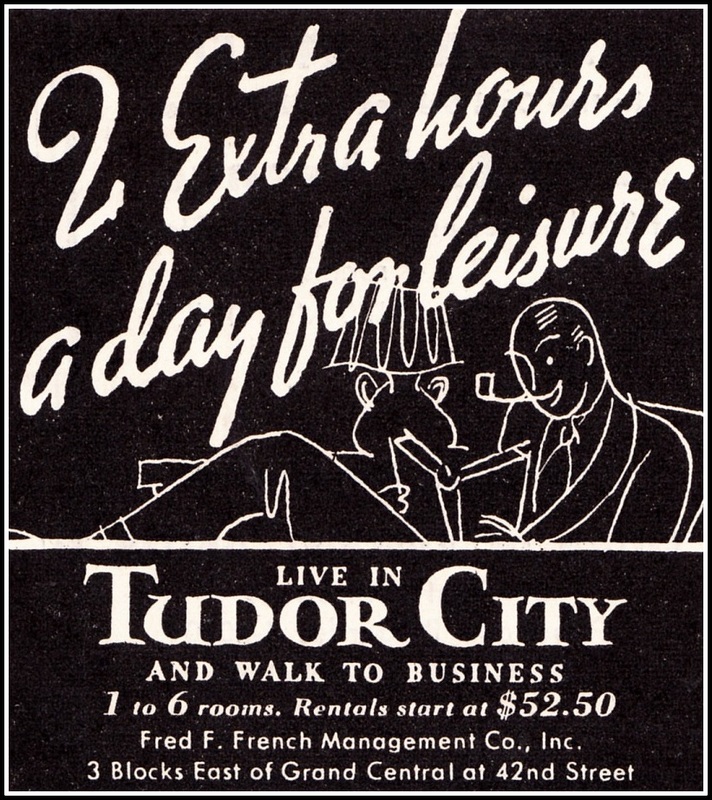 The Tudor City sequence takes place in and around No. 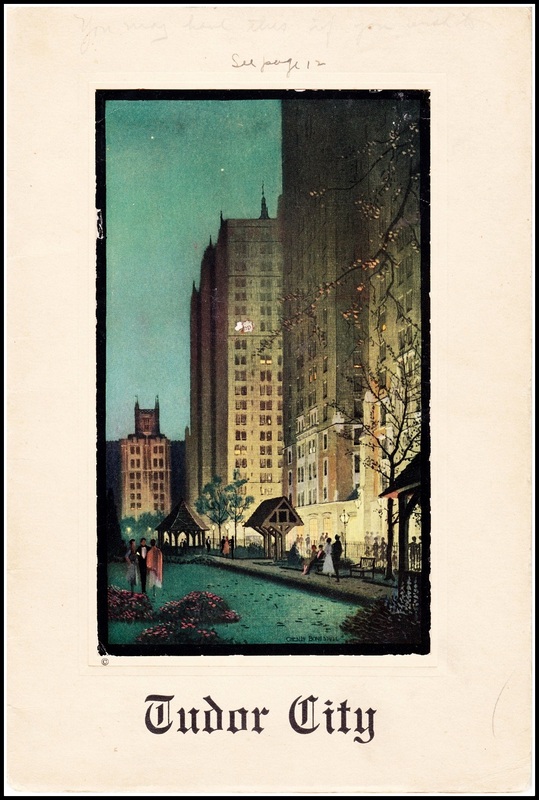 45, Prospect Tower. 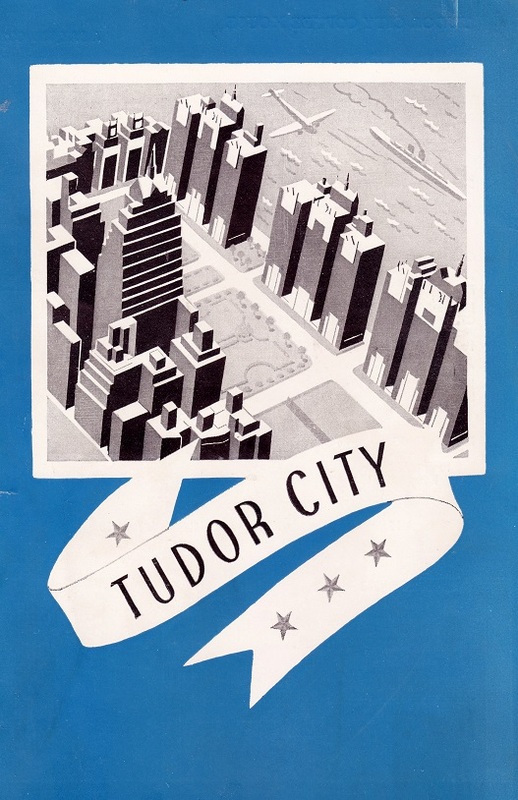 The sequence begins with a sweeping, swoon-inducing shot introducing Tudor City. . .
. . .where fugitive Wesley Snipes (at the Isaiah Wall) is looking for an apartment. He finds a place in No. 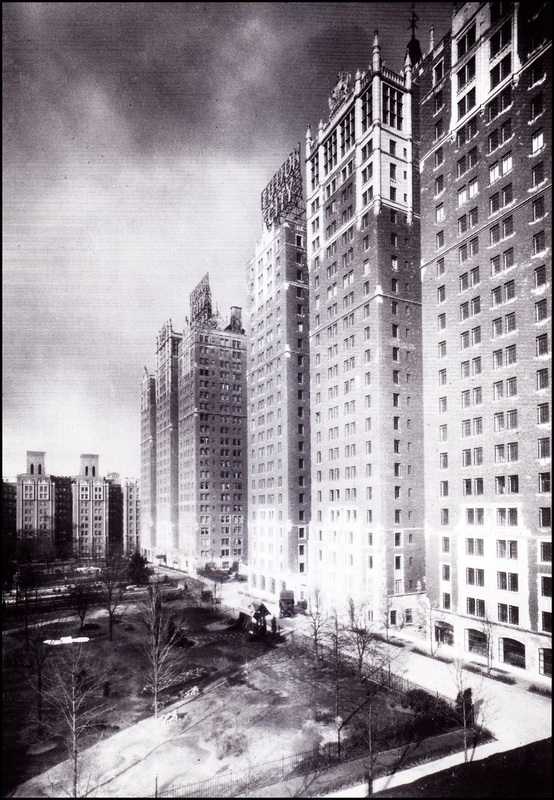 45, sold by its swell view of the UN. The marshals track the fugitive to No. 45, confirmed by a deskman who IDs his mug shot. 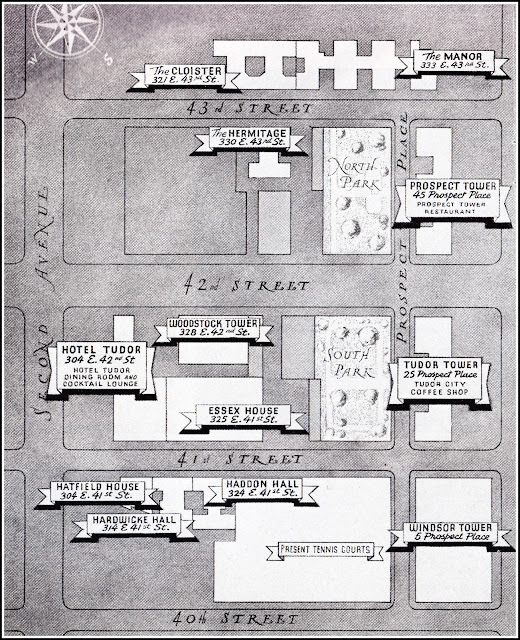 They call out the cops, but it's too late: the fugitive has eluded them. 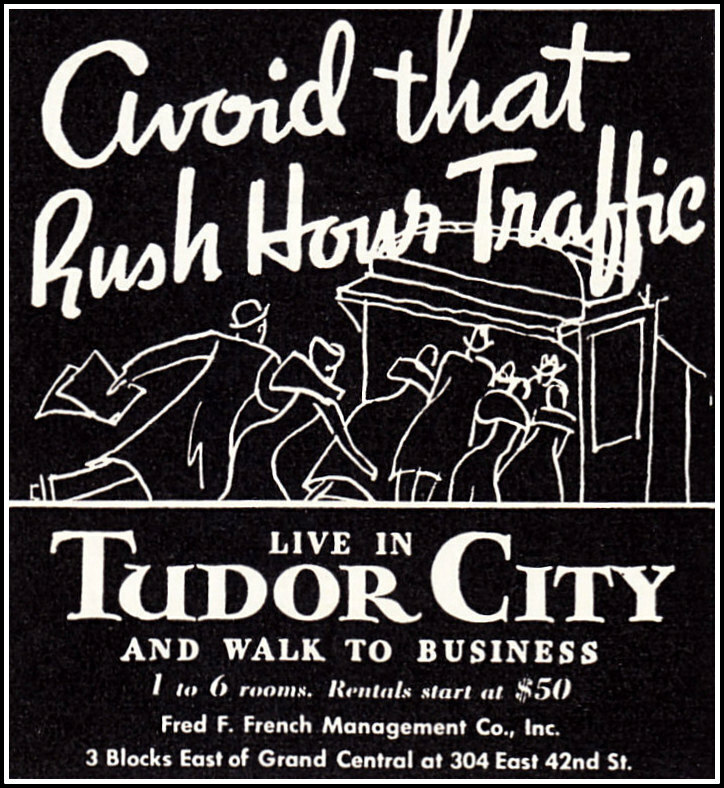 . .
. . .and the action shifts elsewhere.